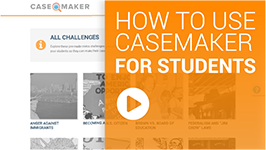 Explore these pre-made civics challenges geared for 6th through 8th grade classrooms. Once you select a challenge, share its code with your students so they can make their case. Was it difficult for immigrants to become U.S. citizens in the early 20th century? An earlier Supreme Court ruling allowed separate "white schools" and "black schools," as long as they both provide an equal education. Is "separate but equal" really equal? How did the “Jim Crow” laws disenfranchise African American citizens? Since the Constitution and the Bill of Rights were written in the 1700s, how can we expect the people who wrote those documents to know what our world would be like today? How does freedom of speech affect things that didn't even exist when the Constitution was written? What are the differences between the Democrats and the Republicans when they first began, and how have the two political parties changed over time? How can propaganda, information that’s aimed at people’s emotions, impact American policies and laws? How have Americans throughout history used protests and expressing one's opinion to influence political options and decision-making? The Declaration of Independence says “all men are created equal,” but it says nothing about women. Who has the right to vote in a representative democracy? When people express their opinions, does it help create real-world change even if they disagree? Would someone from the 1700s have the same feelings for the Second Amendment now as in their time? Certain groups had to fight to win their right to vote, but have they faced voter suppression since then? What can you learn from historical speeches - either good or bad - to help you make a better speech today? What are three aspects of the Triangle Shirtwaist fire story that might persuade someone to see how things that happened in the past can still matter today? Register for a free account or login to customize any challenge for your students. This view is intended to be used by teachers to select a challenge. (Don’t understand what a Challenge is? Take a look at our page on The Basics.) If you haven’t created an account and logged in, you’ll only get to pick from our 20 pre-made Challenges. Register for a free account if you’d like to customize Challenges to meet your classroom’s needs. Browse the Challenges on this page to find one that works for your classroom needs. Each of the blocks on this page represents a Challenge, and you can choose any to read the full Challenge scenario. 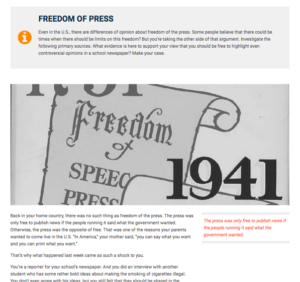 Each Challenge puts your students in a scenario and includes a tab of related Primary Sources. Your students will review the scenario and sources, then choose to make their own case, with their own custom annotations on the available Primary Sources. When you find a Challenge you’d like to share with your students, click on the blue Challenge Code button. This button reveals the code you give to your students. This will display a unique code for the Challenge you’ve selected. Share that code with your students, telling them to go to the homepage of this website where they can enter the code on the homepage. Students enter the code you provide here. 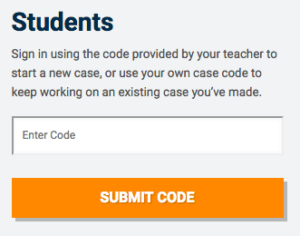 Once your students enter the code, they will be able to review the Challenge you have selected. From there, they may choose to make a case about the Challenge, which opens up organizational, note-taking, and presentation tools they can use. Glad you asked! You are welcome to create your own custom versions of any available Challenge. All you need to do is create an account and login. We do require an email address to make an account, but we will never share your personal information with any third party. Once you are logged in, go to All Challenges, pick the pre-made Challenge you wish to customize, and then click the Customize tab at the top of the page. 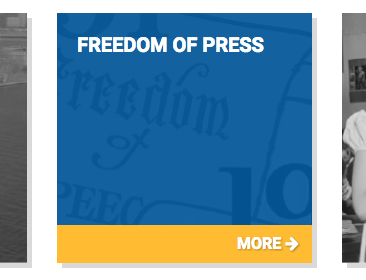 View a Challenge and its Primary Sources, or choose to Customize it. Once you save your customizations, your new Challenge will have its own unique Challenge Code for you to share with your students, just the same as with pre-made Challenges. Check the blue Help tab on the right side of your screen for information on what to do. Plus, every Challenge and every Primary Source has specific tips to help you along, available from a blue Ideas tab that appears on the right just below the Help tab. And if you’re working with a custom Challenge, teacher notes may be available here as well.